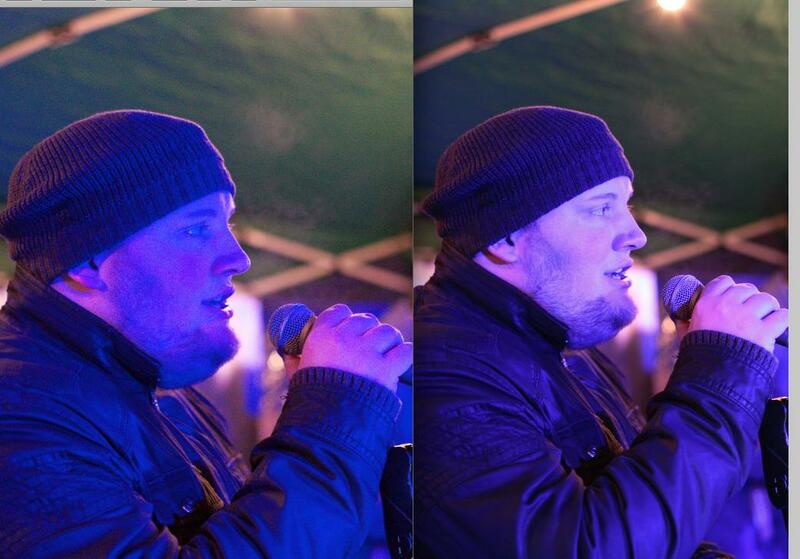 Yesterday, I have been shooting photos at a christmas market -- especially a band that played there. Since everything happened in the evening and it was quite dark, I thought using RAW instead of JPEG could be useful so I would have more details for later adjustment. After importing the photos from the SD card to Aperture, I was shocked because the photos looked massively different when viewed in Aperture compared to what my camera showed me as a preview. To eliminate the possibility that there is just a difference between the color profile of the camera and that of my computer’s display, I opened up “PictureStyleEditor”, a software that shipped with my camera, loaded one of the photos from yesterday’s session and compared how it looked. In PictureStyleEditor, it looked just like the preview on the camera’s display, so I wonder what’s wrong with my Aperture setup. My camera is a Canon EOS 550D (in some countries: EOS Rebel T2i or EOS Rebel Kiss X4), I’m using Aperture v3.4.3 on a Mac OS X.8.2 driven MacBook Pro. I shot the photos just using RAW without additional JPEG output. On other pictures, the difference was even greater but since there were people on them, I didn’t want to upload these as an example. I’d like to get the look of the camera preview/that of Picture Style Editor as a starting point (for editing) in Aperture. It would be great if someone could help me figure out why they look so differently although stemming from the same file. EDIT: Here is another example which shows the problem way better. I asked the photographed person if it’s okay to upload this photo – it is. Uninstalling and reinstalling Camera RAW didn’t help, by the way. There is nothing wrong with your Aperture setup. RAW files are like film negatives, they need to be processed so they can be viewed/displayed as intended. Your camera does not show the RAW file when you press play and preview the image but rather a JPEG image that has been processed in-camera. This is known as a sidecar file. The software that came with your camera is effectively processing the image the same as your camera would. Camera manufacturers provide software to "develop" your RAW files in the same way that your camera would. Different manufacturers of software have different processes or algorithms to process the digital-negative or RAW file. Further reading: Why do my photos look different in Photoshop/Lightroom vs Canon EOS utility/in camera? I began noticing the same issue. I work with social media nearly 100% of the time so I don't shoot in RAW that often because I need to generate decent photos quickly and get them online (my iPad data plan would hate me if I started uploading those file sizes too haha!). Following the above path helped my issue, though, when I do work in RAW so I would suggest you check those preferences. If you haven't made edits on your most recent import and still have the files on a memory card, I would delete them out of your library, change the import preferences and re-import them to see if it helps. I think it will give you the inspector view you're looking for. This is probably due to differences in conversion algorithms between the two programs. 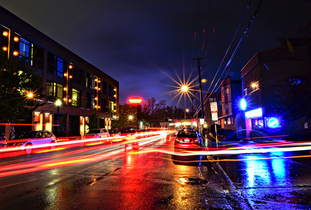 Since Raw photos need to be converted to a JPG to be viewed, the program (or the camera) does a simple conversion preview. PictureStyleEditor probably uses a more sophisticated algorithm that is closer to your camera's. OS X probably has less focus on RAW images and thus has a less complex algorithm. The main difference is that Aperture and most other raw converters ignore the in camera settings for things such as white balance, contrast, saturation, etc. at the time the photo was taken. Instead, each application applies what their designers considered to be a good default starting point for a particular camera. Canon's in-house products such as Picture Style Editor and Digital Photo Professional read the in camera settings and apply them at the time you first open an image taken with an EOS camera. You are free to change them as you wish, but it is nice to have the settings selected when the picture was taken as the starting point. Not the answer you're looking for? Browse other questions tagged raw canon-550d color apple-aperture saturation or ask your own question. Apple Aperture, raw files, and white balance? Why do photos look blurry in Aperture but sharp in Mac OS X Finder? How should one deal with 'hot' pixels on Canon T1i, either in-camera on in Aperture? 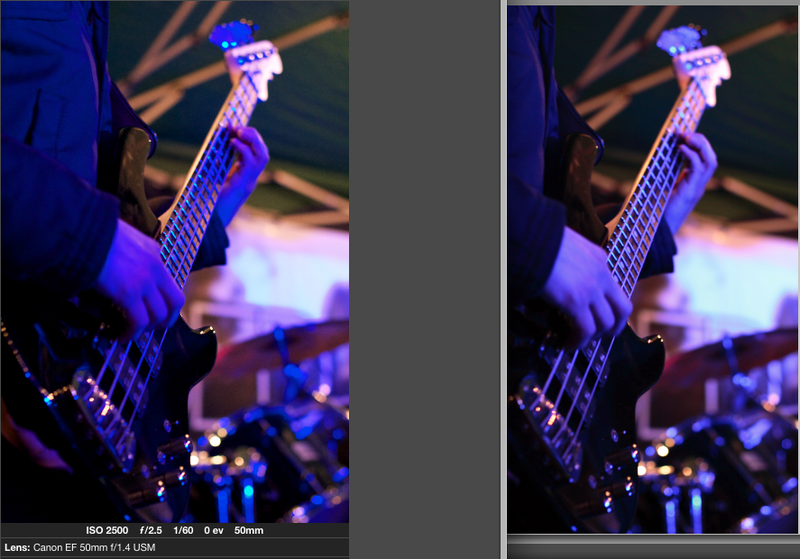 How to properly deal with lens distortion in Sony NEX RAW files? Why do I see posterization in photoshop (and aperture) when I don't see it on my LCD screen? What is the practical purpose of “use raw as original” in Photos for OS X?